The best experience gifts you can give provide for years of memories and countless stories. Our lives are filled with enough “stuff” from tech and gadgets to clothes and toys. “Stuff” is nice to have, but it doesn’t enrich our lives or provide us with memories that live on. Only shared experiences can do that! So this year, gift family gift experiences for birthdays, Christmas, or just because. These gifts will be ones they will ALWAYS remember! Travel is one of the few things that makes a family richer. What destination or experience will you gift? Families who travel and do things together enjoy where they are in the moment, but also recount these experiences for years to come. Rather than buying individual gifts for Christmas or a birthday, consider giving one of the whole family will enjoy. We have compiled a list of family gift experiences that will excite and be a joy to give. Each of these experience gift ideas can be for single people, but doing them friends or family members is simply MORE fun!! Disclosure: This gift guide filled with family gift ideas contains affiliate links. When you purchase through these links, we receive a small commission at no extra cost to you. Thanks! Can you imagine their glee at swimming with a dolphin or viewing a mother polar bear emerging from her den in Manitoba? Envision their excitement to learn to build sand castles or cook in Napa. A little closer home, rediscover a favorite museum or attraction with annual membership or get seats to a favorite concert or live event. We have put together a list of 14 of our favorite experience gift ideas. These experience gift ideas range from small activities you can do in your own hometown to once-in-a-lifetime bucket-list experiences. These trips, experiences, and gift solutions will be the BEST gift you will give or could receive this year. Step onto the sand and learn how to create sand castles, sculptures, and creations. A Master Sand Sculptor provides hands-on workshops at the all-inclusive Velas Resorts in Los Cabos, Riviera Maya, Riviera Nayarit and Puerto Vallarta. Families can take classes on how to create sand creations, enjoy luxurious accommodations, gourmet meals, and more. Here’s a bucket list worthy experience gift idea guaranteed to provide fun family days out. Late November through late March is the perfect time to visit Manitoba and watch the northern lights fill the night sky. During this time stay at the Wat’chee Lodge and embark on one of their Polar Bear/Aurora Borealis eco-tours. You’ll venture into Wapusk National Park to watch female polar bears and their young cubs emerge from their dens. For the family who loves the mountains, escape to Lake Tahoe with skies in hand for time on the slops. Stay at The Ritz-Carlton, Lake Tahoe and enjoy a host of winter experiences. Not to mention the world class skiing the area is known for and lodging that will make you feel right at home. It’s the perfect winter experience for the family who wants to get away this year. Get current rates for The Ritz-Carlton, Lake Tahoe, Truckee. For the family that dreams of unique travel experiences, imagine their delight in staying at one of these glass igloos. Watch the Northern lights overhead and check off bucket list destinations. This is just one of the experience gifts you can choose with Tinggly, the world’s best experiences in a box. Tinggly is the perfect gift solution for families who want experiences over stuff. Buy your Tinggly gift collection here. For those that enjoy food and wine, head to Napa where famed Culinary Institute of America (CIA) has created an epicurean destination, CIA at Copia. Families, couples, and individuals can take part in hands-on cooking classes, enjoy award winning dining, visit one-of-a-kind museum featuring rare culinary artifacts from legendary Williams-Sonoma founder Chuck Williams, and more. Adults can take wine tasting seminars, private wine experiences and more. The Old West is the place for experience gifts for kids and adults. 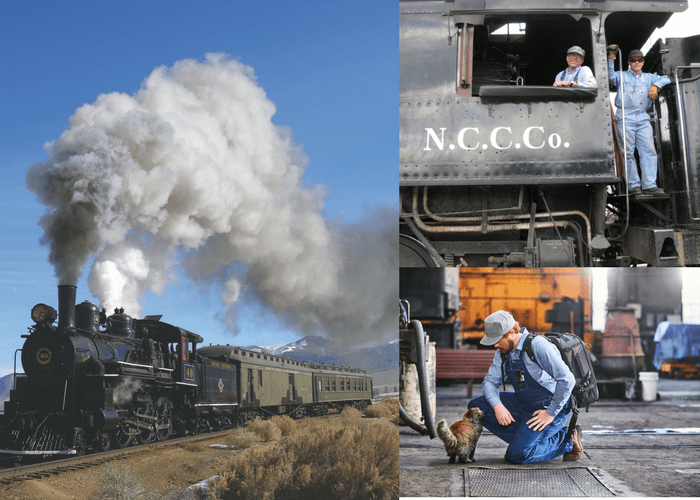 Imagine riding the Nevada Northern Railway in an authentic 19th century steam locomotive. This is sure to be an unique train experience. It’s a once in a lifetime experience the whole family can enjoy! Choose between three different experiences. Ride with the Engineer, in the front and center of a steam engine or drive a steam engine yourself with the railway’s Be the Engineer program. For more adventure, Spend the Night in a Caboose. Whichever you choose, the whole family will never forget this experience. Get out on horseback to explore the wide open plans or channel your inner cowboy. A dude ranch getaway provides fun family days out and offers a wide range of activities and amenities. Each destination provides a unique chance for fun, from horse back riding and a cattle drive to campfires and relaxation, a dude ranch is an all-inclusive vacation. There are locations all over the country. Head to TripAdvisorto search for one near you or with the activities you would most enjoy. Traveling with families can get expensive. This holiday season help your favorite family of travelers travel more or save some money for some extra travel fun and adventures. Giving Rail Europe’s Gift Cards in $25, $50, $100, $250, $300 and $500 dollar amounts can be used on any train ticket, rail pass, or Rail Europe product. It’s a great way to treat travel-loving families to memorable rail journeys, inspiring culture, and incredible vistas in Europe. National Parks and Recreation Areas are filled with family adventures waiting to be discovered. Give a family the gift of the great outdoors with an annual pass. The National Parks and Federal Recreational Lands Annual Pass provides 12 months of access to all US National Parks. Explore everything from Mesa Verde and Arches to the Everglades and Mammoth Cave National Park. Passes allow for admission of pass holder, 3 additional adults ages 16+, and children 15 and under wherever entrance fees are charged. Note: Annual pass is free for US 4th Grade students and active duty US military and their families. Imagine what you’ll see when you take this guided tour of two of the nation’s most beloved parks. It could see bison, moose, or bears in among the trees and meadows. Visit Old Faithful and see the majestic Grand Tetons rise out of Lake Jenny. Families will embark on a guided 8 day family adventure from National Geographic Expeditions. Tour includes visits to Yellowstone and Grand Teton National Parks, floating down the Snake River, wildlife viewing, scavenger hunt, meals, lodging, and more. Plan your next adventure and go! Check the National Geographic Expeditions website for dates and prices. Here are fun experience gift ideas for sea life lovers. Panama City Beach’s Gulf World Marine Park allows you the opportunity to get up close with Harbor Seals, dolphins, penguins, or stingrays in one of the park’s animal encounter. They offer meet and greet sessions as well as the opportunity to become a trainer for the day. Visit Gulf World Marine Park for more. *BONUS – Panama City Beach offers other great events throughout the year on and off the beach. To help create a travel fund, here are a few apps that pay you money. They will help you save so you can do more as a family. There’s no place like home! You don’t have to travel far to have fun and there are always plenty of local events happening. Give a set of tickets to a local concert, sporting event, special event, or theater presentation. Groupon is where I like to go for discounted tickets. In the past I have found good discounts on everything from Haarlem Globetrotter tickets to Renaissance Festivals to Orchestra concerts. Theme parks, museums, science center, and zoos are favorite destinations for families. Check out annual memberships to nearby attractions or give tickets to attractions for an upcoming trip. For those who love to explore museums, attractions, and iconic landmarks, CityPASS tickets are the perfect gift. With CITYPASS, you select one of 10 major US cities and/or Toronto and they experience the best attractions that city has to offer. 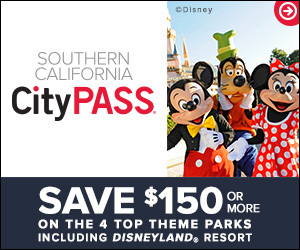 These tickets allow for a full VIP experience.Save up to 50% off combined prices for admission to must-see attractions with CityPASS. Shop now! Give your loved ones the thrill of solving clues and completing challenges as they complete a city walking tour. This smart phone guided scavenger hunt is perfect for families. Interactive, fun, a bit educational, this adventure can be played 365 days a year, sunrise to sunset, on your own schedule in 58 different cities. Send a gift card or last minute e-gift card so the recipient can play in any of the Quest cities with up to a total of 5 family members. These experience gift ideas are sure to delight those who receive them. Whether they are travelers, families who love the outdoors, or just someone who’s hard to buy for, these experience gifts fit the bill. Memories created with these gifts will last a lifetime. If you’d made family travel resolutions to yourself or who someone else who has, these are great places to start and will lead to many more in the future! Happy Gift Giving!